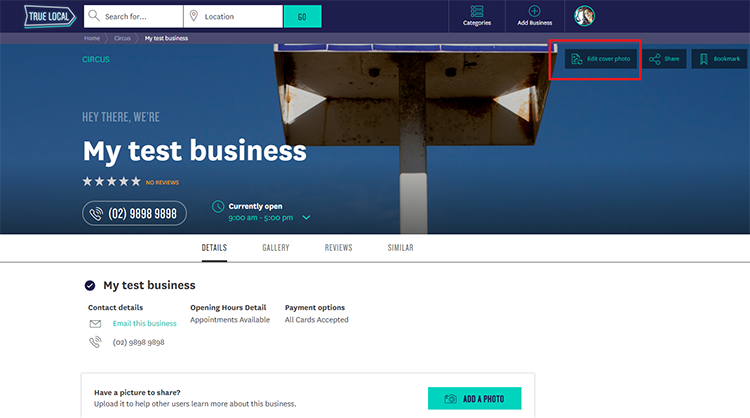 Our stats show that business listings with images receive up to 7 times more views. * With your cover image in the most prominent place on your listing page, why not use it to showcase the best your business has to offer? Whether your best selling point is your friendly and helpful staff, your variety of services or your delicious food, hero it for your customers to see. Handy Tip: you will only be able to update your cover image if you have managed your listing. To find out more about how to manage your listing, click here. 2. 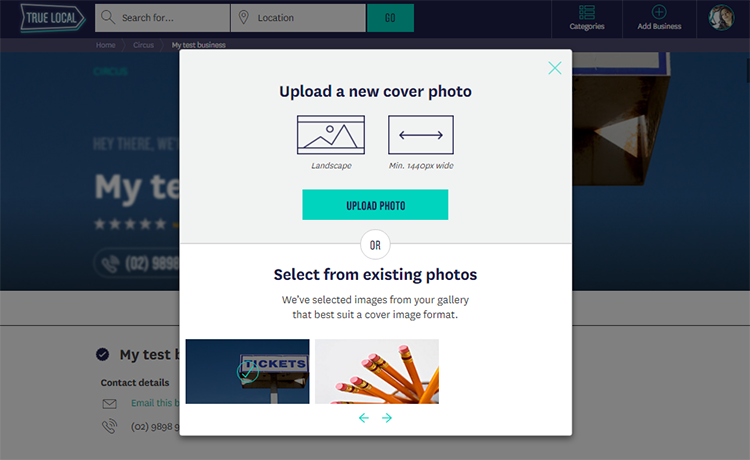 From the pop up box click “Upload a new photo” to browse through your photos. Remember the images that work best are at least 1440px wide. 3. If the image is big enough, it will successfully upload as your new cover photo. To save, select “Save cover photo” in the top right hand corner. If you decide you want to change your photo, simply select “Change photo” to upload a new one. Troubleshoot: if you receive an error message to try again, it might mean that you need to find a bigger photo that’s 1440px wide or change the file type so that your image is either a jpeg, gif or png.